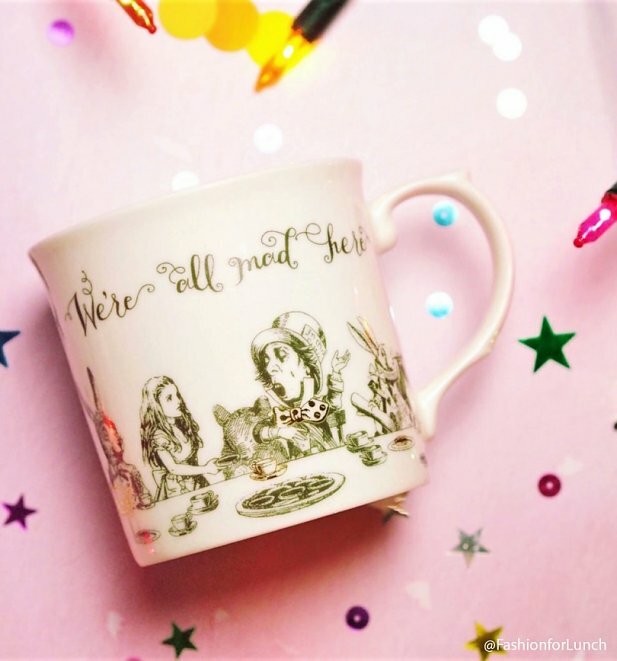 If a fine cup of tea is, well, your cup of tea (!) 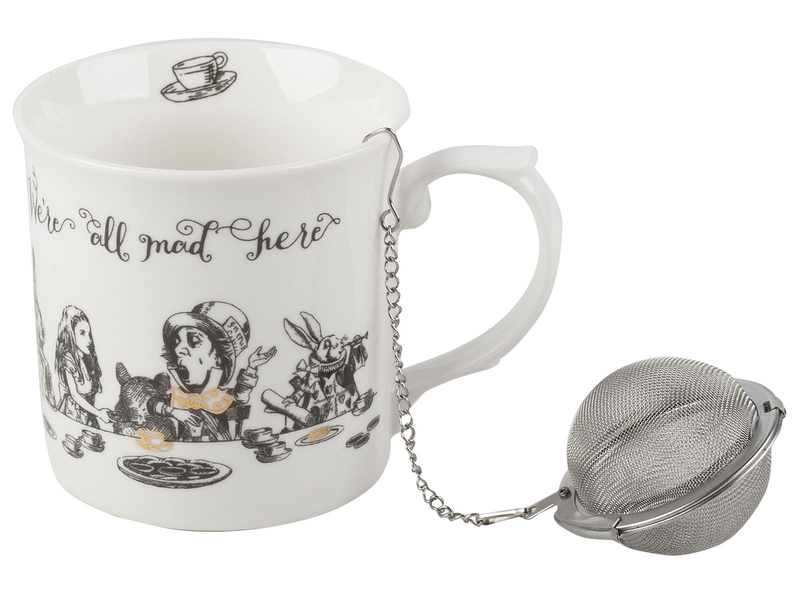 then this Alice In Wonderland china mug and infuser set is for you! 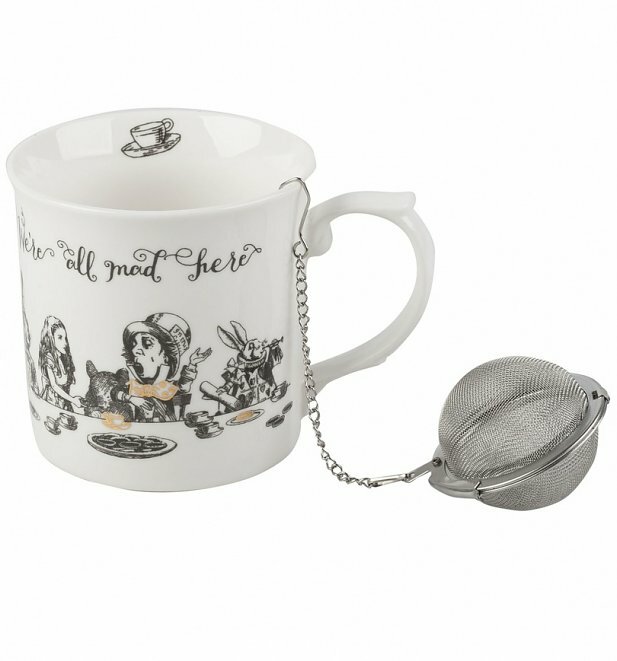 Portraying a scene of Alice at the Mad Hatter's tea party with the iconic quote 'We're All Mad Here', this dainty fine china creation features hand-drawn black and white illustrations, finished with a touch of luxury gold. 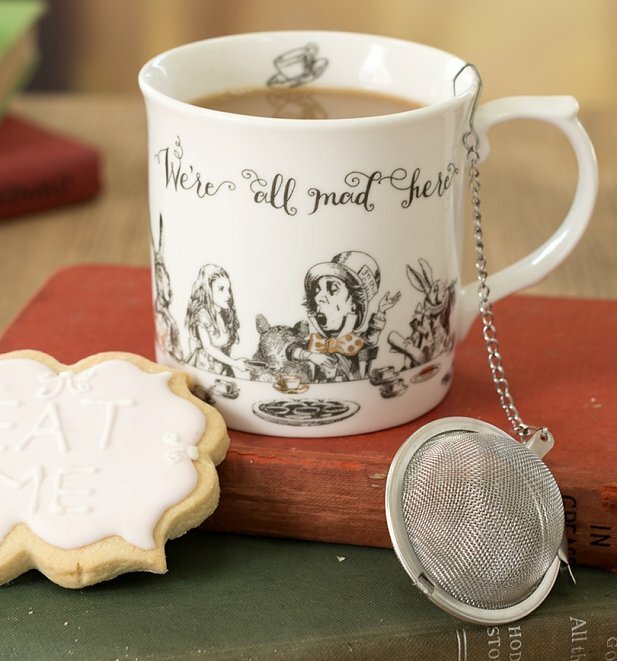 Perfect for reading the classic book over a cup of your finest loose leaf!